Born on this day in 1946 in Cambridge, happy 72nd birthday to the great guitarist, songwriter, singer, producer and activist David Gilmour. 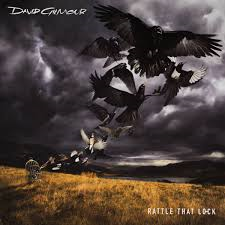 Best known for his work with Pink Floyd, Gilmour has contributed some of the most distinctive guitar sounds of the 1970’s and 80’s whilst continuing to produce work of very high standards right up to the present day with his last album, Rattle That Lock, being an excellent piece of work. Growing up in Cambridge, eventually living on Grantchester Meadows, Gilmour became childhood friends with Roger ‘Syd’ Barrett with whom he shared a love of playing guitar. In the early 60’s Gilmour joined a variety of fairly unsuccessful blues bands before busking around Europe, and in particular France, initially with Barrett and then other friends, contributing music to art-house movies before, in 1968, being invited to join Pink Floyd, mainly to carry the slack of his old friend Syd’s increasingly erratic behaviour (Syd was to be a non-performing writer for the band) but eventually as replacement when Syd’s position became untenable. 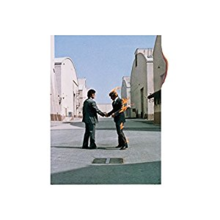 With Gilmour’s guitar playing and writing with the other members, Nick Mason, Richard Wright and Roger Waters, Pink Floyd, into the 1970’s became a huge and significant band in the rock world with such albums as Dark Side of the Moon, Animals, Wish You Were Here and The Wall. As well as his work with Pink Floyd, Gilmour became sought after as both a producer and a session player. With contributions to his old friend, Syd Barrett’s album The Madcap Laughs and work with artists such as Roy Harper, Gilmour’s reputation grew with his influence being seen in a number of artists across a number of genres, such as the album he played on with techno-dance act The Orb. 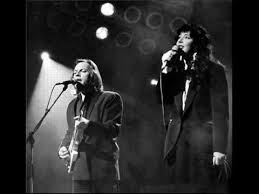 Gilmour was also introduced to a sixteen year old Kate Bush, whom he helped create a demo tape on which EMI signed Kate, with Gilmour being executive producer, as well as contributing some guitar, on her debut album, The Kick Inside. In 1986 Gilmour played guitar when Bush performed Running Up That Hill at the Secret Policeman’s Ball for Amnesty International. Gilmour has also, over the years, been a voice, activist and campaigner for a variety of charities and causes such as Amnesty International and various animal right’s charities. In 2003 he donated the £3.6 million pounds from the sale of his Little Venice house to the Shelter charity. In 2005, despite their differences, the surviving members of Pink Floyd, Gilmour, Waters and Mason, got together to perform at the Live8 concert in London’s Hyde Park. 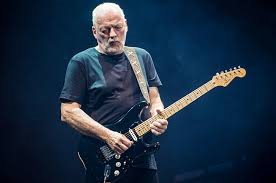 David Gilmour is one of the greatest guitarist of all time, a player who knows how to leave spaces, who doesn’t feel the need to add superfluous notes or chords. Confident in his skills, he does the simple things so well and is synonymous with some of the most recognisable guitar solo’s such as Shine On You Crazy Diamond, Money, Run Like Hell and Comfortably Numb. And whilst lauding him for this we must also say he is one of the great rock voices there has been, a talented producer songwriter and all round decent bloke! 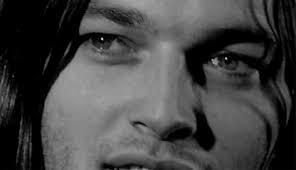 A Very Happy Birthday to you David Gilmour.